Amber. (2011)Look Me in the Eye. 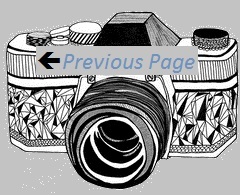 Available:http://www.amber-online.com/exhibitions/look-me-in-the-eye/exhibits/steve-burns. Last accessed 15/04/2011. The images taken by photographer Richard Grassick are really stunning, with the addition of personal commentary from paraplegic Steve Burns, create a very informative account of his life with a disability. 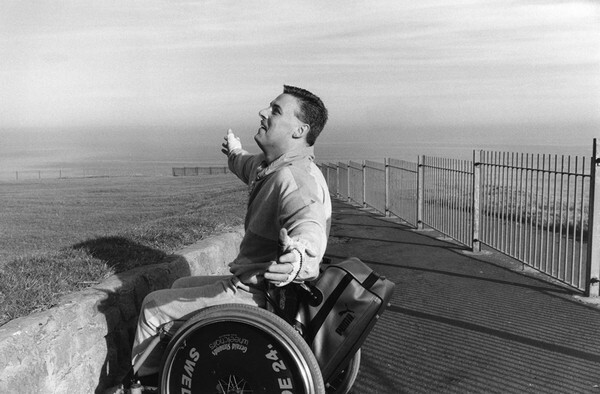 Richard Grassick as part of Amber's Current Affairs Unit, took part in a collaborative project with Steve, campaigning to change attitudes to disability in North Shields 1988. Steve doesn’t want to be patronized or sympathised with, he wants to be treated as an individual, a human being, not an abnormality. The exhibition shows Steve at work and play and tries to illustrate his infectious courage and humour.’ Look Me In The Eye’ is a collaborative exhibition where Steve has been involved from the start in both image and text. The reader is expected to be informed about Steve’s insights and the images of his daily life as a person with a disability. Steve deals with abusive and rude comments based on his disability, which he reflects on. I imagine that through his writings, he is able to recount both painful and meaningful events to hopefully heal from the experience. I believe he has developed great strength and would be interesting to interview. Richard Grassick has extensive photographic experience, which would be worth meeting him to discuss. Is there anything you think the text has missed out on or has not donewell? I think the images and commentary are done well, but certain pictures do lack text which I believe complement the images well. I would like to look at more work from Richard Grassick, including: Unclear Family: Solo Show, People of the Hills and Stepping Up.